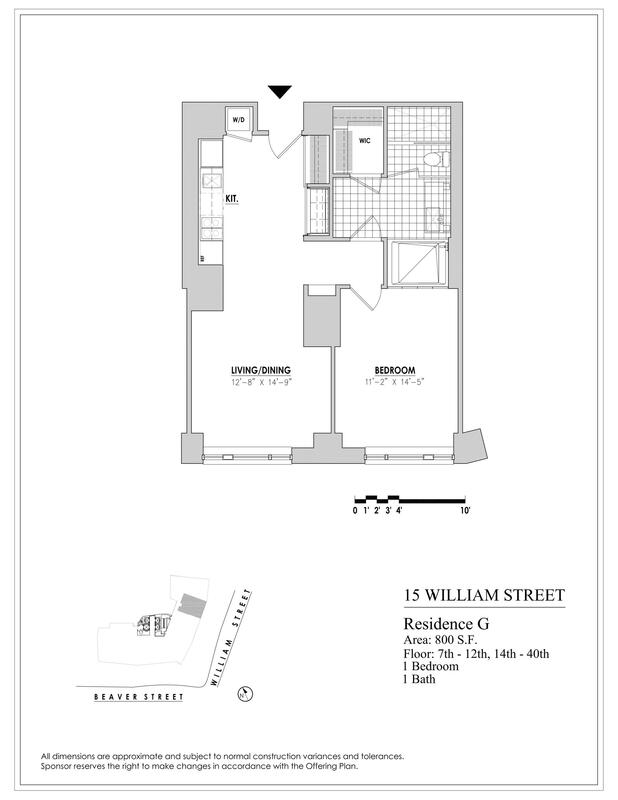 15 William is a modern and sophisticated condominium residence that is surrounded by architectural jewels of the past and just a few blocks from today's emerging icons and chic shopping destinations. The 47-story tower is distinctive and contemporary from the outside and sophisticated and comfortable on the inside. Residents will experience impeccable amenities rivaling New York's finest residential buildings and luxury hotels all at an incomparable location in the heart of the Financial District. Studio, 1, 2 and 3 bedroom condominium residences are available for immediate occupancy. Views at 15 William range from compelling historic architectural exposures to panoramas of the rivers and downtown skyline. All of the residences have extraordinary light, a precious commodity in the Financial District. Building Services and Amenities Include: 24-hour doorman and concierge, live-in resident manager, on-site full time managing agent, rooftop lounge with catering kitchen, dining room and outdoor terrace, overlooking lower Manhattan and New York Harbor,screening room children's playroom, fully-equipped fitness center, indoor lap pool, squash court, sauna & steam rooms, men's and women's locker rooms, outdoor playground, outdoor basketball court, covered outdoor dog run, refrigerated storage in lobby for perishable deliveries, secure indoor parking with valet personal storage [available at cellar level #3].